I’m sorry for your loss. Ollie sounds like a fantastic feline. This is one of my favorite Ollie photos. 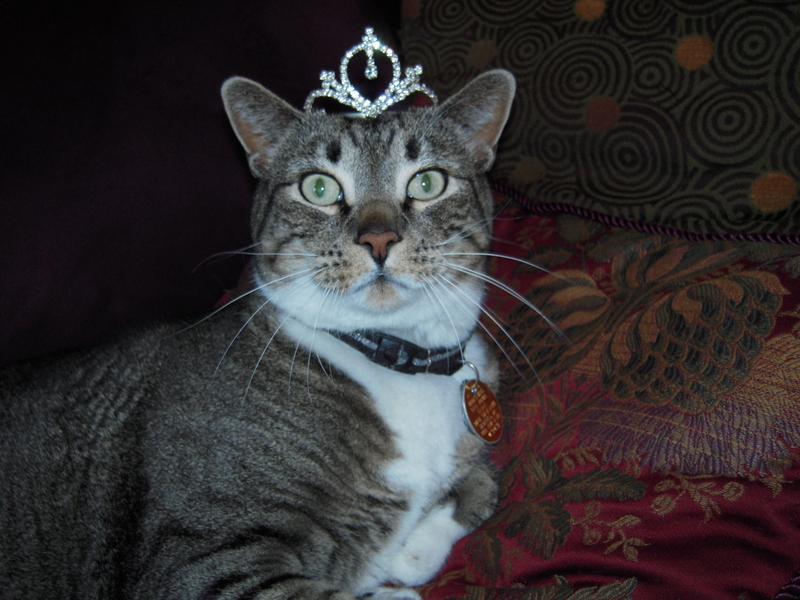 I am laughing at the idea that you crowned your cat. Maybe he wants to snuggle more because you have become a more comfy “bedfellow.” I never had the patience for sharing my bed with cats, but one of my cats, Mr. Whiskers, broke me down. As he grew older, he often climbed up beside me and “motored” his way through my nights with deeply happy purring. It was disruptive of my sleep but so obviously pleasurable for him that I tolerated it. He wore me down. Or trained me. I still miss that cat! I know, the crown was so silly. Mr. Whiskers sounds like a special guy.